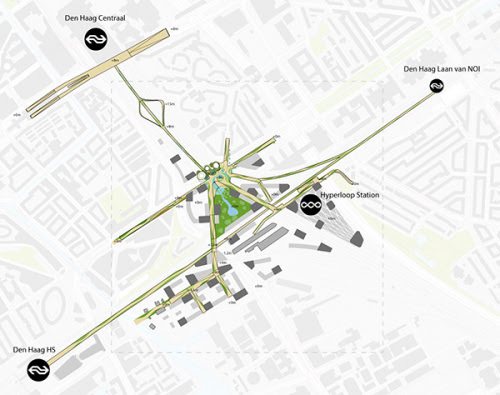 With Socio-Technical City, UNStudio - in collaboration with a multidisciplinary team of experts - has created a new urban vision for the 'Central Innovation District' (CID) test site in The Hague. 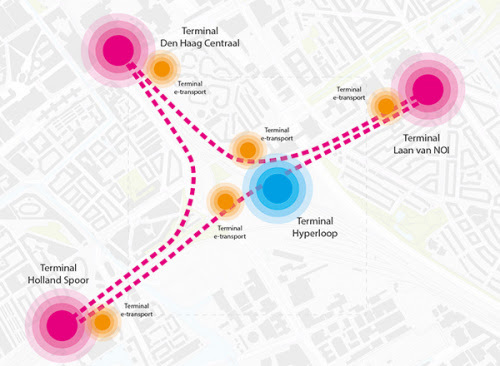 UNStudio's vision for The Hague is one of the studies made for 'The City of the Future', a joint initiative by BNA Research (the Royal Institute of Dutch Architects), the Delft University of Technology, the Delta Metropolis Association, the municipalities of Amsterdam, Rotterdam, The Hague, Utrecht and Eindhoven, the Directorates-General for Mobility and Transport, the Environment and Water, the Ministry of Infrastructure and Water Management and the Ministry of Interior. 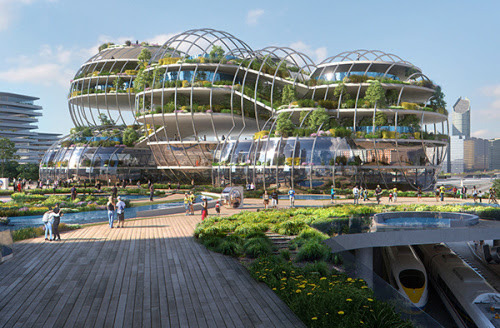 UNStudio's concept for the Socio-Technical City combines the two largest challenges facing the future of cities - urbanisation and sustainability - and focuses specifically on the questions: how can an area like the CID, despite extremely high density in the future, be self-sufficient and energy-neutral? 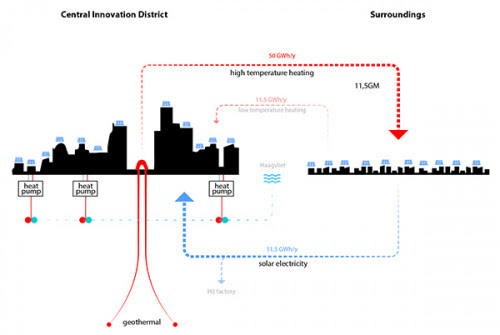 What does such an urban district look like? 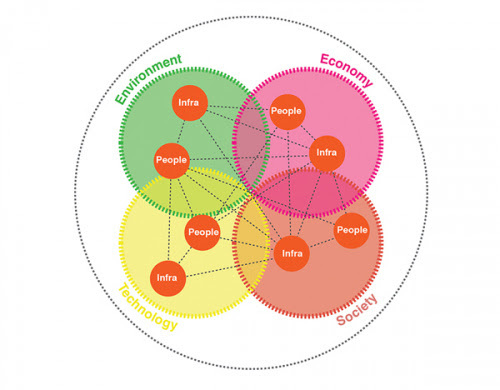 And how can you connect the technology that is required with the people who live and work there? 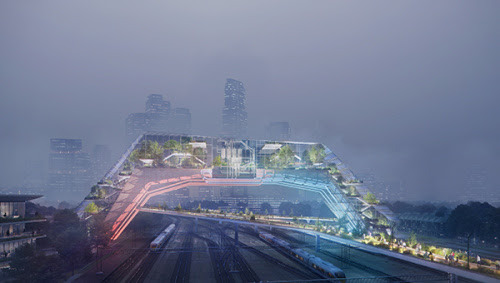 With the elevated urban layer covering the existing railway tracks, UNStudio's urban vision distinguishes a number of technical 'domains', which refer to the major transition issues of our time: energy, circularity, mobility, climate adaptation / water management and food production. 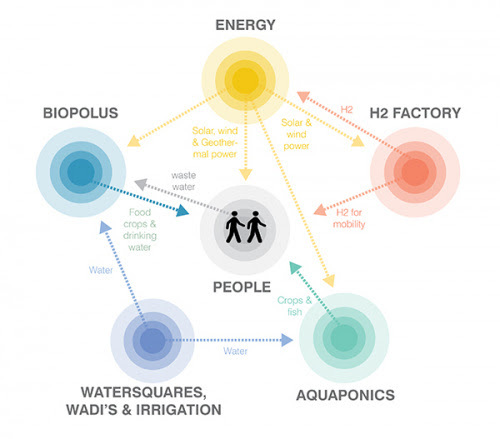 These domains are then each envisioned as 'gateways': physical architectural interventions that offer practical solutions to the problems as well as functioning as attractive symbols for the specific themes - a geothermal power station as an icon for energy transition, a (Hyperloop) station as a landmark for mobility, a Biopolus water treatment plant as a symbol for circularity. Ben van Berkel is a member of the Bouwagenda Taskforce in the Netherlands - a collaboration between commercial parties, the government and knowledge institutes tasked with accelerating innovation in construction. 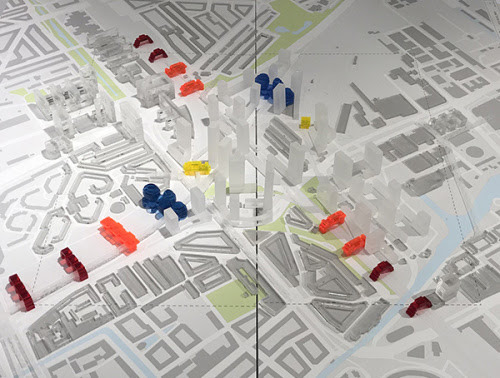 This development and construction platform, part of the Bouwagenda and led by Ben van Berkel and Carolien Gehrels, works with multidisciplinary teams, including contractors, to develop scenarios to improve cities. 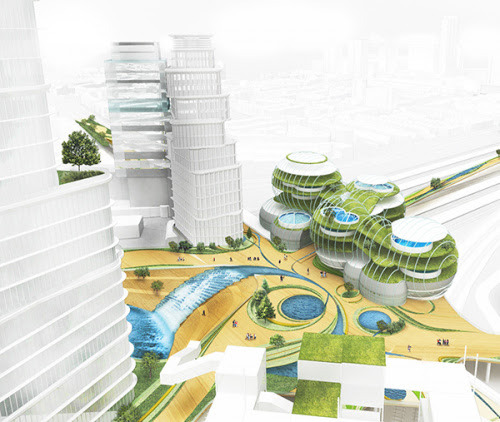 The project 'The City of the Future' designs and speculates, while the studies carried out by the Development and Construction Platform are drawn up and calculated and the contractors are part of the discussion. 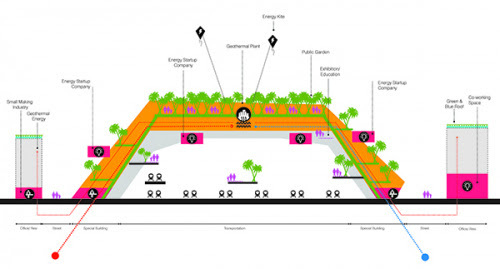 Ultimately the proposals for 'The City of the Future' should reach this level of implementation.